Services for equines can be delivered either at our clinic or during on site calls to our clients. 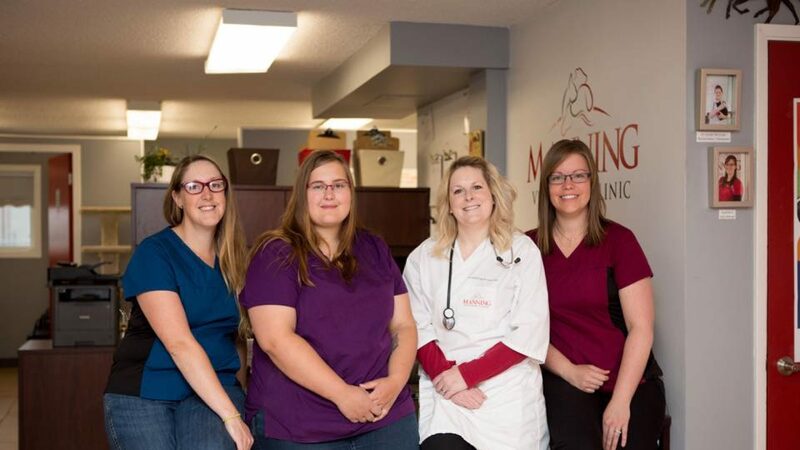 The decision between treatment administered on site or at our clinic is dependent upon the health of the animal and the services being provided. It is our goal to always work in the best interest of your equine and in a manner that ensures the best service to our clients. Our equine wellness programs are designed to provide you with confidence your horse is receiving the highest-quality preventive health care and a fundamental foundation for a long, healthy life. We recommend annual preventive care appointments, which include a physical examination, vaccinations and dentistry, as well as more frequent de-worming. We view annual examinations as an opportunity to establish a baseline for your horse’s health as well as to detect problems before they become serious and expensive to treat. Encephalomyelitis is caused by a virus, which is transmitted by mosquitos. The virus causes inflammation of the brain and spinal cord. All horses should be vaccinated against EEE & WEE. Tetanus is a disease caused by a specific toxin of a bacillus (Clostridium tetani) which usually enters the body through wounds. It is characterized by spasmodic contractions and rigidity of some or all of the voluntary muscles (especially of the jaw, face and neck). The bacteria is found in horse manure. The vaccine is boostered in case of laceration, surgery, or pentrating wounds. Rabies is a viral disease that infects the nervous system of mammals. It is transmitted through contact with the saliva of infected animals. It is 100% fatal. Influenza is a virus that causes high fever and respiratory infection. Rhinopneumonitis is a herpes virus which causes respiratory infections, abortions, and inflammation of the spinal cord. Pregnant mares should be vaccinated at 3.5, 7 and 9 months from the breeding date. Strangles is a bacterial disease caused by Streptococcus equi. It is highly contagious and causes the following signs: high fever, abscessed lymph nodes,and respiratory infection. West Nile Virus (WNV) is spread by infected mosquitos. The virus causes inflammation of the brain and spinal cord. Symptoms of WNV may include the following: Flu-like signs (fever and depression) | Skin twitching, especially around the muzzle | Hypersensitivity to touch and sound | Driving or pushing forward without control | Incoordination. Because permanent neurological problems and death can occur, early recognition and initiation of treatment is important. Horses need regular preventive dental maintenance every six months to one year. Unlike people, horses’ teeth have an eruption rate of two-three mm per year. The teeth should wear in correspondence to yearly eruption rate. Malocclusions, or improper position of the teeth, can lead to many health issues and behavioral problems. – Traces of blood in the mouth; or nasal discharge or swelling of the face. 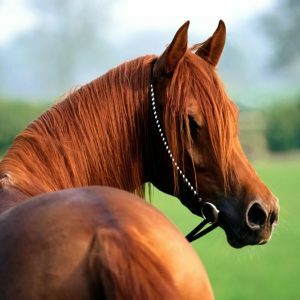 Other horses may not show noticeable signs, because they just simply adapt to their discomfort. Breeding is essential for maintaining a herd, and it is an important endeavor for those seeking to give birth to the next competition or show horse. Dr. McCracken can provide guidance on breeding and maintaining the health of the mare or dam during pregnancy and delivery. We also offer reproductive ultrasounds during important stages of pregnancy. Though we prefer to prevent illness as much as we possibly can, there simply is no guarantee a well-cared for horse will never face an illness or injury. Dr. McCracken and team are able to diagnose and treat a wide range of medical conditions. These include (but are not limited to): Coggins testing for Equine Infectious Anemia, coughing, choke, respiratory infections, colic and weight loss. For some cases a referral to a specialist may be required. As with the preventive medical care we provide, we would much prefer to do all we can to prevent the need for surgery. However, there are times when surgery is in the best interest of your horse. Surgeries we perform include castrations, laceration repair and hernia repair. For more specialized surgeries we will provide you with a referral to a specialty centre.